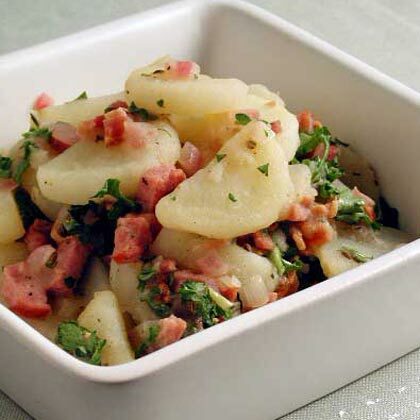 Potato salad with bacon is a delicious twist on this traditional summer side. A versatile dinner-table staple pulls double duty for sandwiches as Potato Loaves. 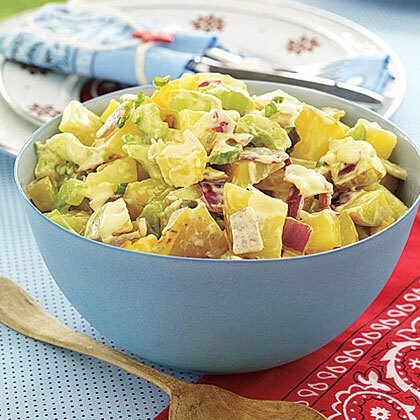 German potato salad is a classic among barbecues and picnics. 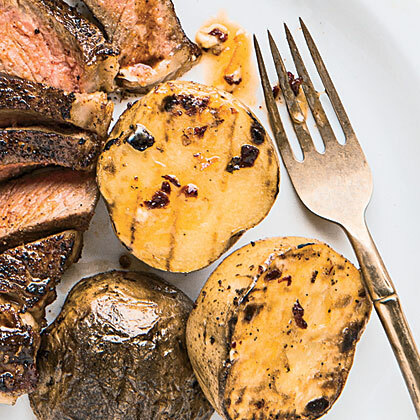 This recipe gets its unique flavor from bacon and a piquant vinaigrette. 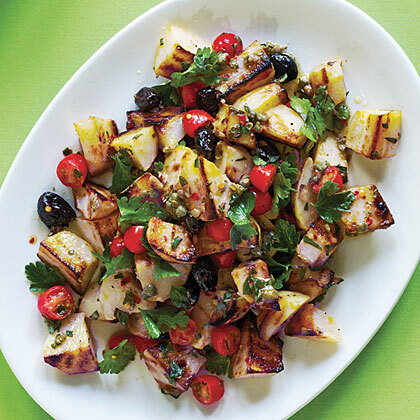 Grilled Yukon gold potato halves combine with a mixture of tomatoes, capers, oregano, olives, and anchovies for a Mediterranean-style potato salad side dish. 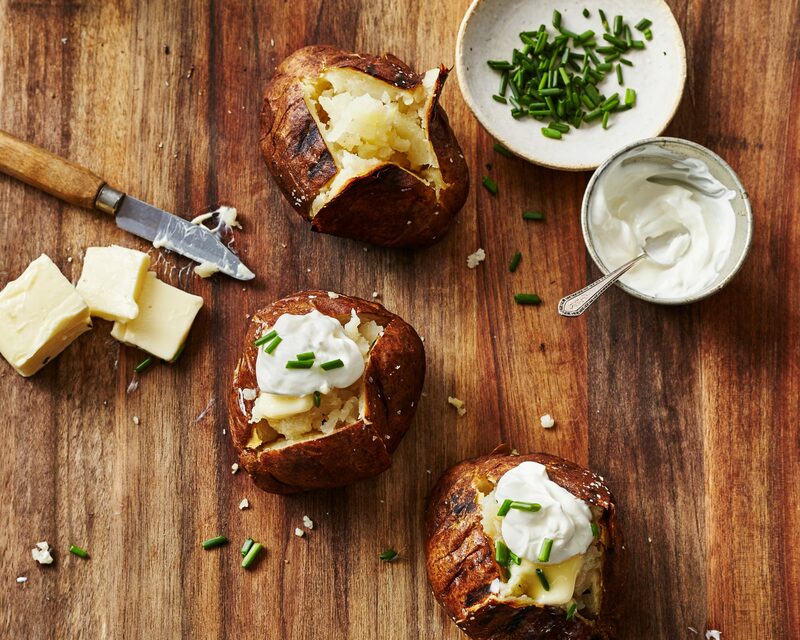 Learn the do's and don'ts for achieving a perfectly crisp-skinned and fluffy baked potato (hint: It’s not the microwave), then master our simple recipe. Our Test Kitchen Director's grandmother, Jackie Freeman, has been making this genius recipe for decades. It's the perfect marriage of potato salad with a bubbly, cheesy gratin. You'll know when the potatoes are perfectly cooked when a table knife slides easily through the center. Here’s the potato salad you grew up loving. 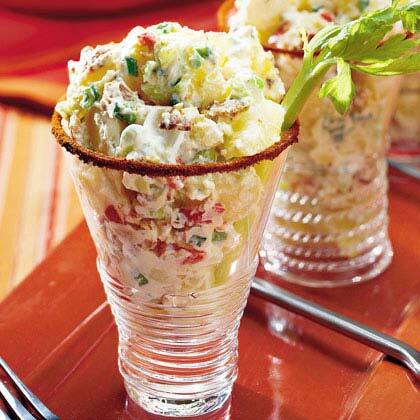 Make it with diced potato, sweet pickles, celery, chopped egg, and a good amount of mayonnaise. 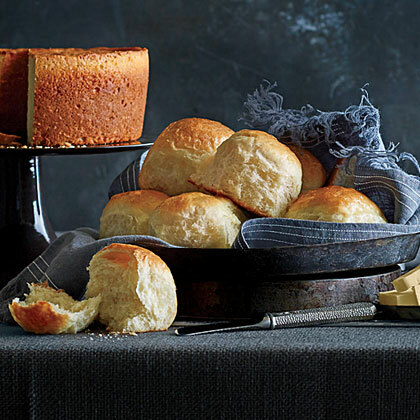 Soft, pillowy and delicious served hot, Potato Rolls are a versatile dinner-table staple. Bread bowls are a sandwich shop favorite for a reason. 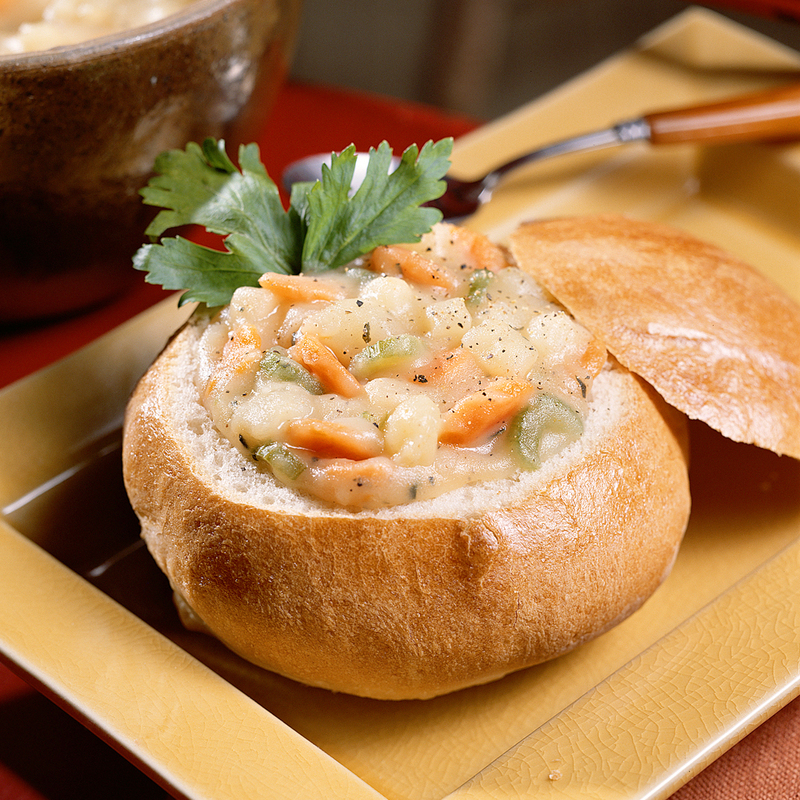 Instead of venturing out into the cold night air, fill homemade Italian Bread Bowls with chunky potato soup featuring potatoes, onions, carrot, celery, and savory seasonings. 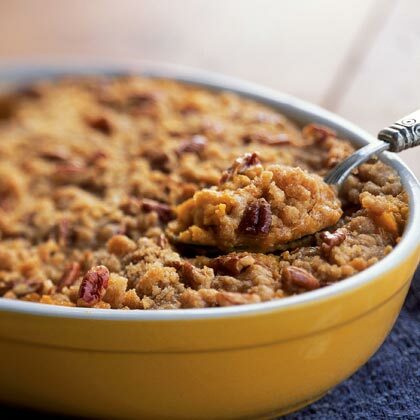 Sprinkle a buttery, brown sugar and pecan mixture over the top of the creamy potatoes in this sweet potato casserole that's sweet enough to be dessert. Bored with sweet potato casserole? 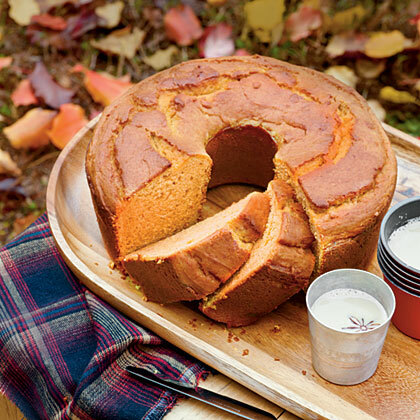 Try this sweet potato pound cake, a twist on traditional pound cake that features nutrient-rich sweet potatoes. It's the perfect addition to holiday dessert tables. Look no further for a perfect sweet potato casserole recipe. We've got 20+ top-rated sweet potato casserole recipes to suit your side dish style. These sweet potato casserole recipes are ideal for Thanksgiving--you can choose between marshmallow or pecans, or insist on having both, or neither! 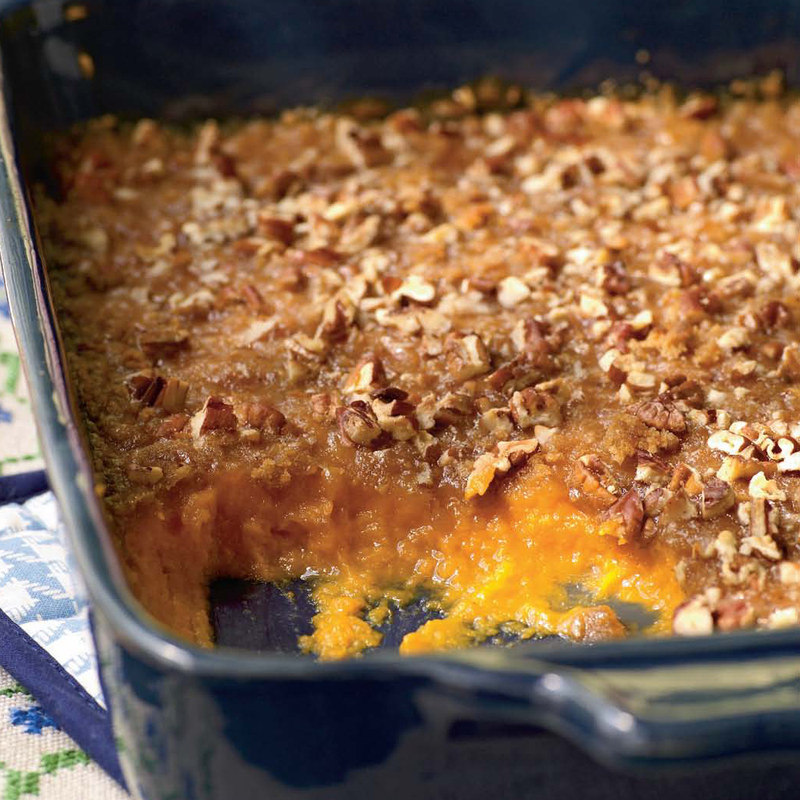 But don't forget that sweet potato casseroles are a great addition to the dinner table all during the fall and winter. 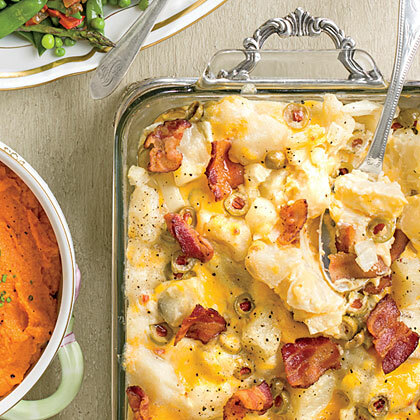 Kids love sweet potatoes, so serve them a casserole side dish that's both delicious and nutritious. The classic recipes are great, but don't sleep on the Cranberry Sweet Potato Bake. We're drooling just thinking about it. 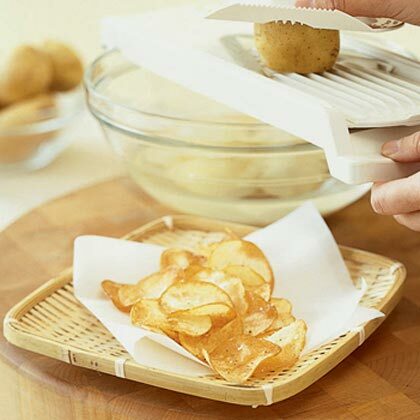 Skip the bag and make potato chips at home with this easy recipe. Four ingredients and a slicer are all you need. 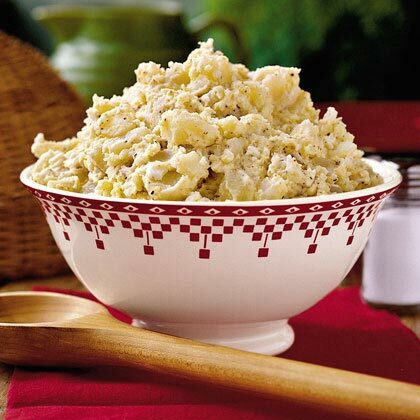 This classic potato salad is perfect for cookouts, family reunions, and holiday gatherings. 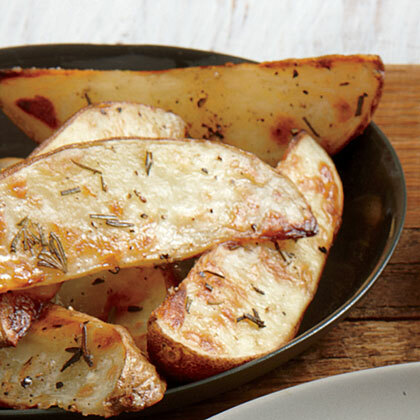 Roasted Potato Wedges are the ideal complement to a delicious main dish. Michele uses Duke's Mayonnaise in this potato salad recipe and grates the eggs on the largest holes of cheese grater. Enjoy the smoky sweet heat in each bite of Chipotle-Orange Potato Planks. 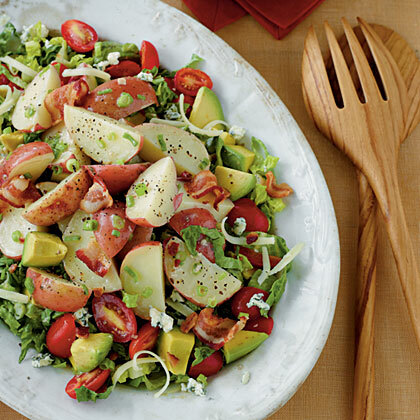 Transform a Cobb salad into a potato salad by adding avocado, blue cheese, bacon, tomato and lettuce to boiled red potatoes. 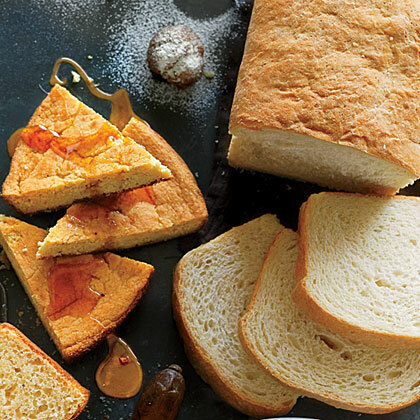 No Thanksgiving table is complete without this comforting classic. Whip cooked sweet potatoes with evaporated milk, a bit of sugar, and just enough butter until they're fluffy, smooth, and totally dreamy before topping with a buttery-rich brown sugar and pecan topping for a satisfying cool-weather casserole. A dash of cinnamon would be a welcome addition in the sweet potato mixture for an extra touch of toastiness. Be sure to let the casserole cool completely before digging in.